These were made for a co-worker's birthday. When I asked him what kind of cupcakes he wanted, he stated "something with cream cheese frosting." 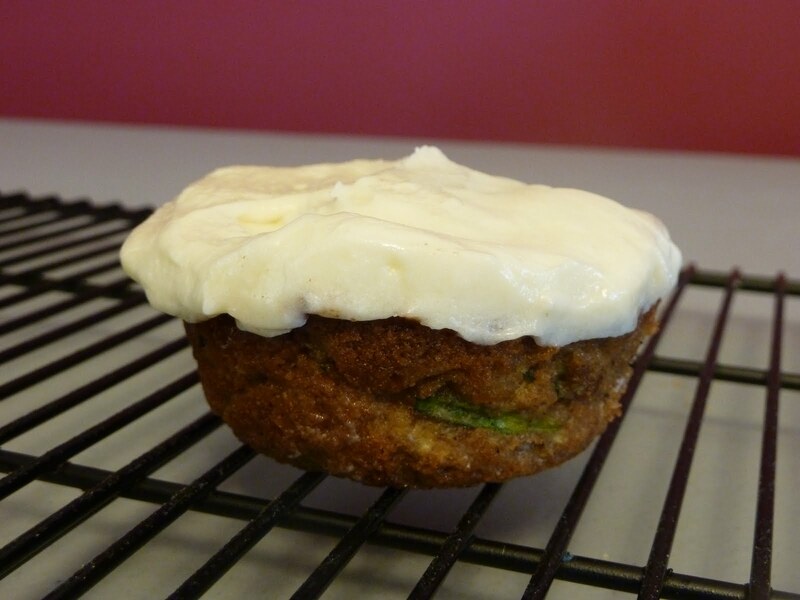 I came up with a couple of options (after vetoing his first choice of carrot cake cupcakes since I had just brought those in for another co-worker's last day of work), and he picked zucchini nut cupcakes. I had taken a couple pictures of the cupcakes when I noticed this particular cupcake had a green strip of the shredded zucchini showing through the side. 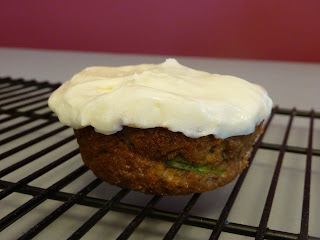 The cupcakes were light, but not airy, and had a definite cupcake texture (compared to the typical zucchini muffins). If you try the linked recipe check the cupcakes at about 20 minutes since the 45 minutes listed can't possibly be right. I believe this is the recipe I used. I forgot to save it when I made them. Maybe add a little nutmeg.